How does stock market loss protection work? After the last market crash many investors turned to annuities as stock market’s safety net. Fixed indexed annuities guarantee that your principle will not incur any loss during stock market decline. To cover up for the losses which occur during the years the stock market is down, the insurance company must retain some of the gains during the years in which the stock market is up. So, in up years the insurance company credits you with only a portion of the overall market gains. The most common methods to do that are annual fees and setting limits on how much you can gain. There are 2 limit methods, called the “cap rate” method and the “participation rate” method. A cap rate or a cap is the highest annual interest rate that the insurance company will credit to your annuity in any period (also called index term). It serves as the upper limit of how much interest you can earn. The index term is the period over which index-linked interest is calculated. In most product designs, interest is credited to your annuity at the end of each term. Terms are generally from one to ten years, fixed index annuities usually offer multiple, consecutive terms of one or two years. The insurance company has an option of resetting the cap rate at the beginning of each term. The reset rate is based on the current performance of the stock market as well as on the performance of the annuity provider. For example, if your annuity has an annual cap rate of 7% and the underlying benchmark index grows by 10% that year; your annuity will be credited with a maximum of 7%. 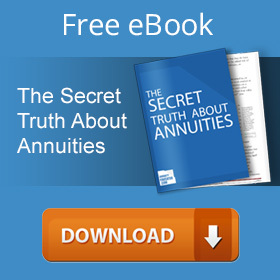 If the market only grew 4% that year, your annuity would be credited with 4%. You would receive gains up to the maximum percent limited by the cap rate. A participation rate is the proportion of the gain that the insurance company will credit to your annuity in any period (also called index term). 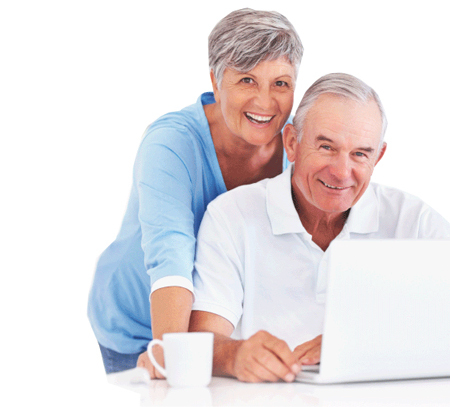 Fixed index annuities usually offer multiple consecutive terms of one or two years. At the end of each term the gains are credited to your account. The insurance company has an option of resetting the participation rate at the beginning of each term. The reset rate is based on the current performance of the stock market as well as on the performance of the annuity provider. For example, your company offers you an annual 60% participation rate, then in this year the benchmark index grows 10%, so your annuity would credit 6% annual interest onto your account by the end of this year (which is 60% of the 10% stock market gain). In order to achieve the greatest earning potential, you should seek out annuity contracts that offer the highest cap rates or participation rates. However, the interest rate will be based on the performance of the stock market index you select (also called a benchmark index of your investment). One stock market index can significantly outperform another. Different stock market indexes don’t usually move in tandem, as each one represents only a portion of the entire world’s stock market. When evaluating the performance of any investment, it’s important to compare it against an appropriate benchmark. A stock market index is a number that is calculated based on stock market analysis. Each stock market index is used to show the general performance of a portion of the of the entire world’s stock market. In the financial field, there are dozens of indexes created to show the performance of various stock market portions. In simple terms, each index shows you what interest your investment would earn if you invested your money into certain number of stocks in a certain proportion. Usually, best performing stocks in certain categories are selected to represent specific section of the stock market( for example, largest U.S companies, U.S. real estate, Asian Pacific market, etc.). Most popular indexes are the S&P 500, the Dow Jones Industrial Average and the Russell 2000 Index. Clear understanding of how indexes are created and how they differ can help you manage your finances. Most fixed index annuities offer S&P 500 index as one of their options, it based on the market capitalizations of 500 largest companies of American stock market. Can I use more than one stock index? With many new fixed index annuities you can choose to allocate portions of your premium to be tied to different stock market indexes. This lets you further diversify your investment without the risk associated with actual investment in the stock market. So how can I use several indexes at once? In simple words, you can divide your principle and place it into several “buckets”; each bucket’s interest will be calculated separately based on the options you select. You can choose how many buckets you want and how much you want in each bucket. There are several options of how the interest is calculated, which include choice of stock market indexes (such as S&P 500, Dow Jones Real estate, etc), cap and/or participation rates. The money is kept in the “bucket” until the end of the selected term, which is usually 1 or 2 year period. At the end of this period the earned interest is added to the bucket and you are given an opportunity to either keep money in the bucket for another term or to move some or all of the money to another bucket. This way you can not only diversify your investment, you can change allocation of your funds based on the current market trends. The floor is the minimum index-linked interest rate you are guaranteed to earn annually. The most common floor is 0%. A 0% floor means that even if the index decreases in value by the end of index term, you will earn zero interest. In simple terms, even if index decreases during the term period, you will not have any loss, or negative interest, applied to your principle. As in the case of a cap, not all annuities have a stated floor on index-linked interest rates. Some annuities also offer minimum guaranteed annual rate, it is offered at the beginning for the entire term of the contract. Minimum annual rate most commonly offered is 1%. Some annuities pay simple interest during an index term. That means index-linked interest is added to your original premium amount but does not compound during the term. Others pay compound interest during a term, which means that index-linked interest that has already been credited also earns interest in the future. In either case, however, the interest earned in one term is usually compounded in the next.